An Amazon truck made deliveries in Los Angeles, Calif.
Online retailing giant Amazon.com, Inc. announced Tuesday that it has launched its on-demand grocery service in Boston. AmazonFresh costs $299 a year, or $200 for people who already have an Amazon Prime membership. It offers groceries, prepared meals, beauty products, and household goods for same-day or next-day delivery. Entering ZIP codes into Amazon’s website shows the service is available in most Boston neighborhoods, including many sections of Allston, the Back Bay, Beacon Hill, Brighton, Charlestown, Dorchester, Jamaica Plain, and Mattapan. The zone also appears to extend to such towns as Acton and Concord. The company said more than 95,000 products will be available through AmazonFresh in Boston. Fruit, vegetables, meat, pet food — even highly perishable seafood — qualify for same- and next-day delivery. Amazon said all grocery orders made by 10 a.m. through AmazonFresh can be delivered by dinner time; orders made by 10 p.m. can be delivered by breakfast. 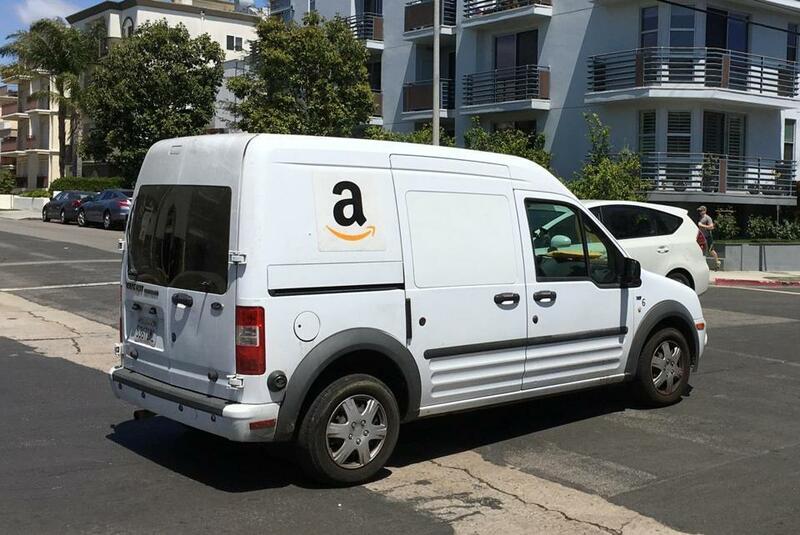 AmazonFresh lets customers order fresh milk, meat or fish, and groceries for delivery within 24 hours. Local retailers are also participating, including Savenor’s Market (a Cambridge butcher), Chestnut Farm (a livestock farm in Hardwick), and Red’s Best (a Boston fishmonger), as well as merchants at CommonWealth Kitchen in Dorchester, a nonprofit incubator that helps local entrepreneurs start food-based businesses and careers. Amazon recently built a 1.2 million-square-foot warehouse and fulfillment center in Fall River. It also leased 96,600 square feet of refrigerated space in Everett last year. Dan Adams of the Globe staff contributed to this report. Megan Woolhouse can be reached at megan.woolhouse@globe.com. Follow her on Twitter @MegWoolhouse.